Easy-to-clean durable dog beds to be used on their own or with one of our optional dog bed covers. IS THE “WIPE CLEAN” FABRIC THE RIGHT CHOICE FOR ME? 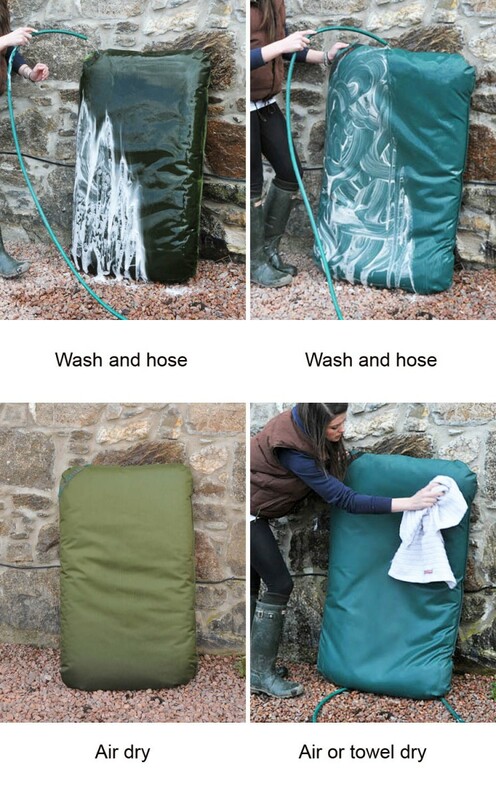 If you want your dog beds to be completely and totally free of dog hairs and super easy to clean (either hose down or spot clean with a household spray and cloth), our Wipe Clean dog beds are the ones for you. This fabric is smooth and feels like a waxed jacket, yet it has plenty of grip for your dog. With time and use it becomes softer like a subtle leather without losing its waterproof excellence. If you want more durability and strength combined with a soft, warm feeling like an upholstery fabric, then have a look at our Durasoft mattress dog beds. 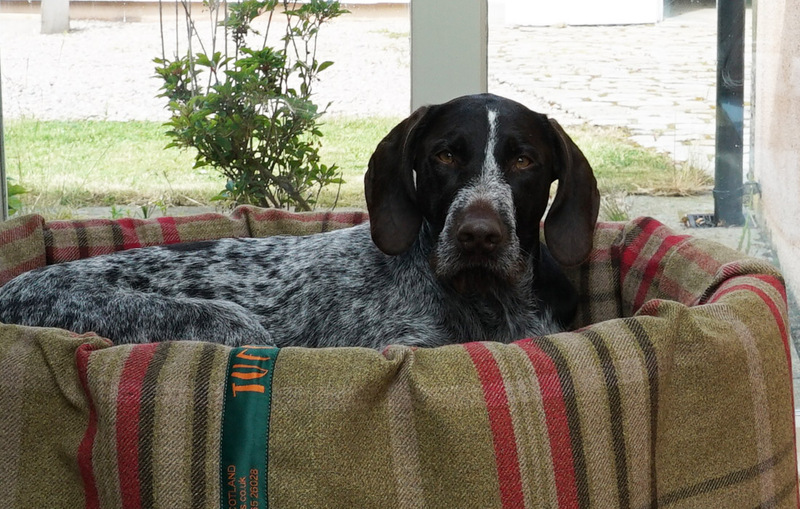 All of our dog beds contain a substantial futon mattress based on polyester hollow fibre. This mattress supports your dog’s joints to perfection and gives 100% insulation from any cold floor. The futon channels mean that nothing moves or lumps and the thick insulation remains intact year in, year out. Inside our dog beds nothing moves, clumps or flattens. Nothing that you can cut with scissors is chew-proof!! 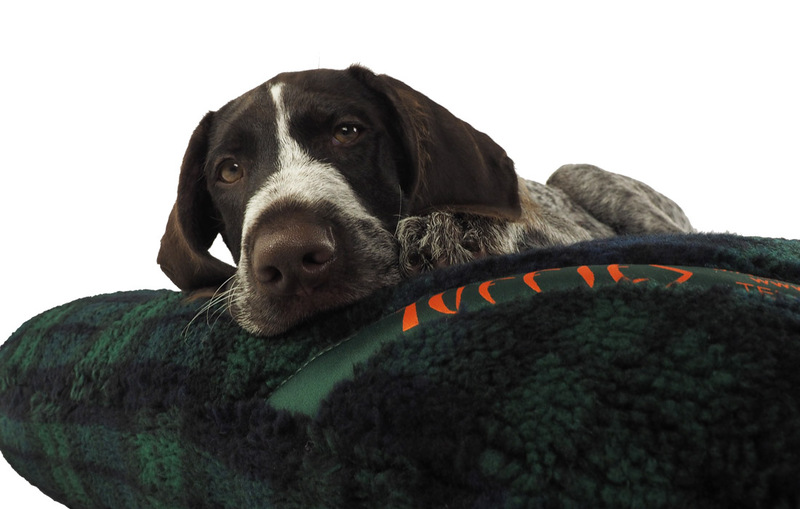 Our dog beds are extremely durable, but a determined dog will always be able to cause damage. We find that sometimes our delighted customers will tell their friends that Tuffies dog beds are virtually indestructible, but unfortunately nothing is, not even a Tuffie. Tuffies dog beds are robust and last for years, but they are not chew-proof. HOWEVER, we have of course the Really Tough Tuffie, which is money-back guaranteed chew proof.